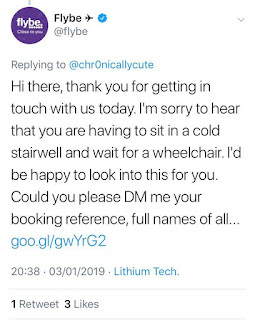 Travelling can be a stressful experience for anyone, but when flying with a disability, it seems more and more that airlines are content with treating disabled people as sub-human. 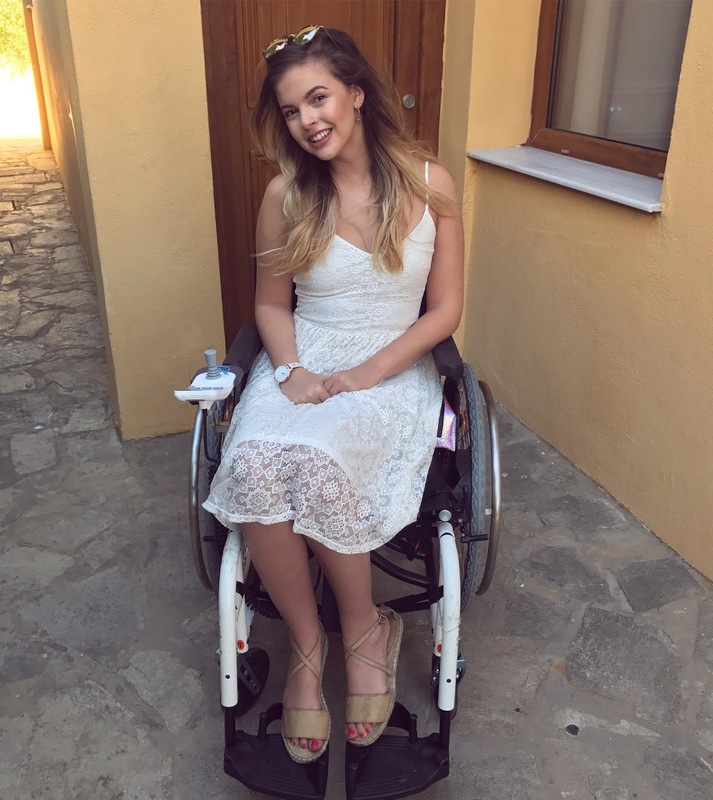 Recently there have been many reports of disabled people suffering extreme challenges when attempting to use air travel, and the more these incidents come to light, the more shocking this becomes. The absolutely shocking footage last year of Justin Levene dragging himself through Luton airport after his wheelchair was left behind highlighted just how dreadful travelling with a disability can be. Whether it is damaging or losing a person's wheelchair after sticking it in the hold, or forcing disabled passengers to wait excessively long periods of time for someone to collect them and push them to their destination, accessible airline travel is, as of 2019, absolutely dreadful. It is obviously no surprise that 62% of disabled passengers found airport special assistance poor or very poor according to the Civil Aviation Authority. The main reason I have been prompted to write this blog post today is because after flying to Dublin with my family for a couple of nights with Flybe, I have been left in too much pain to leave my hotel room following on from very poor special assistance services. I arrived at Exeter airport to a huge amount of wheelchairs that I was advised to use and was allowed to take this right to the aircraft. As I was unsure whether I would have a wheelchair waiting for me when we landed (by this point my back was incredibly sore and I was ready to get to the hotel and into bed asap), I asked one of the staff members on board who assured me that there would be one waiting, but to wait on the aircraft until it arrived. 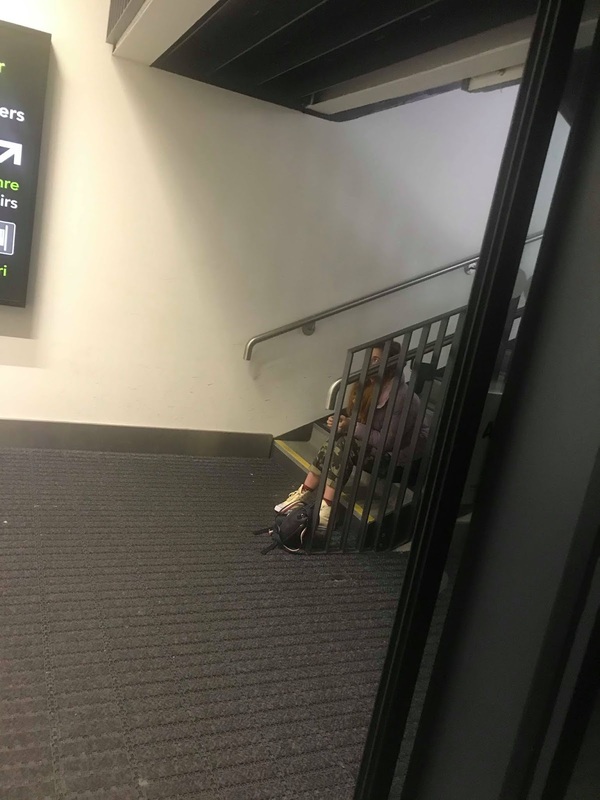 Me and my sister were then ushered off the plane by another member of staff who pointed in the general direction of the terminal and said "Ask him, he will find a wheelchair." Not being sure of who he had pointed at, we asked the first man we saw, who walked us to a "waiting area" and assured us a chair would be ready soon. 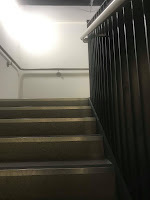 Well, this alleged 'waiting area' was basically a stairwell, a lift and a doorway that was constantly open. It was 9pm and FREEZING outside. As there were NO CHAIRS in this little landing, I perched on the bottom of the stairs, thinking it would only be a couple of minutes. However, after 30 minutes and continuous reassurances that the chair would arrive soon, I was still sitting on the stairs, freezing cold and in absolute agony. 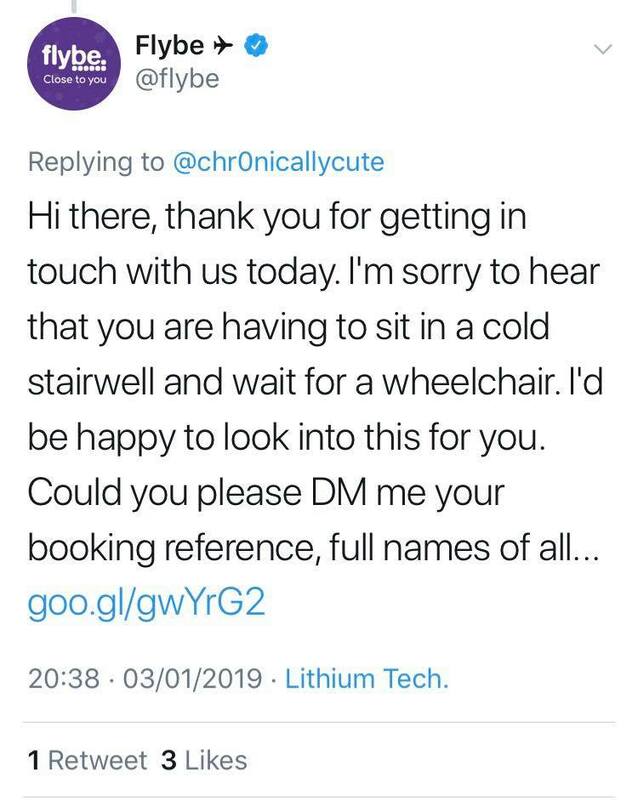 I tweeted about this quickly and Flybe responded publicly saying they were "looking into it", but I don't think I will be satisfied until I am confident that they recognise the error of this situation. Not having a single chair to sit on, or more than a few wheelchairs in the whole airport, is not acceptable. 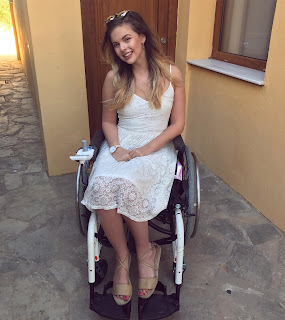 It is now 2019, and just in case you were not aware, disabled people are people too! I really hope that this year will be the year that airlines make some drastic changes to their policies and staff training, because this cannot continue. Thank you Flybe, for almost ruining my trip. If you are living with any sort of illness, physical or mental, it is very likely that you have had to ask for help on certain occasions. Even if you have spent the week in bed with a bad cold, you probably asked your housemates to make you a cuppa a couple of times. The difference lies when you are living with something chronic, the guilt around asking for help constantly can end up being devastating. 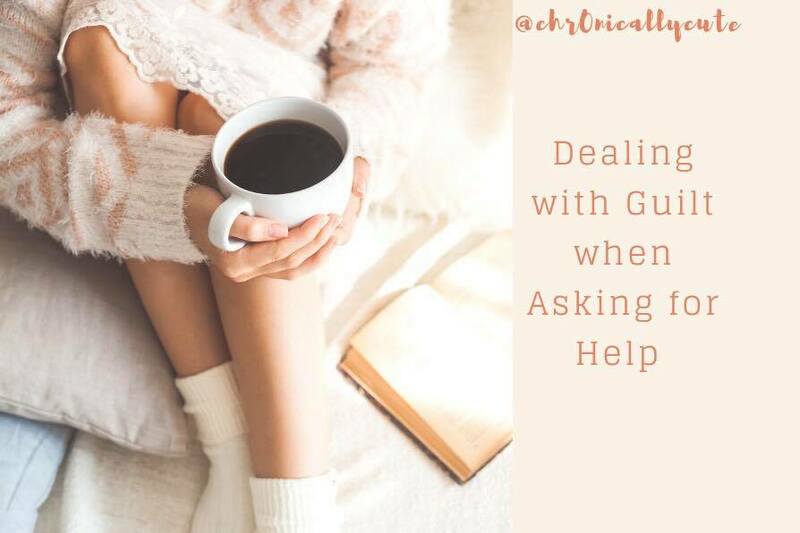 As someone who quite often depends on help from others, be it making me dinner, changing my sheets or helping me to the loo, the guilt I feel when asking for this help can often become all consuming. It is something I am still working on, but I feel that writing this post is one of the ways in which I can help myself towards letting some of that guilt go, and hopefully help someone else going through something similar. Last week I dislocated my hip. This is the first time I have ever done this fully to my hip and it has been so tough. I ended up having to go to A&E with my boyfriend who is a 3rd year Engineering student. 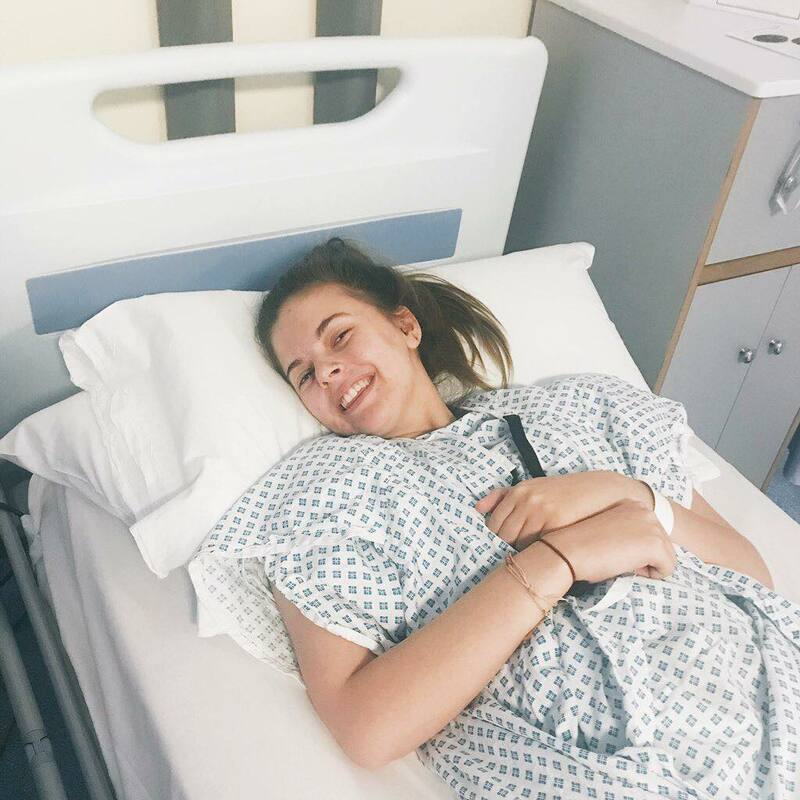 As you can imagine, a whole day spent in hospital means a lot to a final year student, and I felt terrible. The pain has meant that I have spent the whole week in bed, relying on help from my housemates for every meal/cup of tea/shower/room tidy. As you can imagine, the guilt has been pretty intense. When I feel guilty for asking for assistance, the first thing I do is try to figure out whether the guilt is justified or unjustified. I ask myself, have I done something to warrant feeling guilty, i.e. upset someone. If so, the next step would be to make up for this. However, more often than not, the guilt I feel is unjustified. Asking for help with something I would otherwise be unable to do is not something that I should feel guilty for. Even as I write this, I am thinking back over times where someone has gone above and beyond for me and feeling of guilt are creeping in, but running through the little justified/unjustified checklist can be really helpful. If you are in a similar situation, imagine what you would say to your best friend if they were feeling this way and you were the one helping them out. What would you suggest to them? Probably something along the lines of, “this isn’t your fault” “you have nothing to feel bad about, I am happy to help” etc.? Well next time you have these thoughts, try and apply the same advice to yourself. You deserve the best, and you are not a burden. 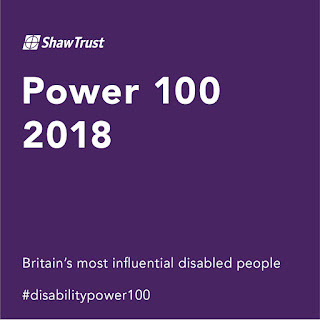 It feels slightly surreal to be posting this, but on the 17th October, I was announced as one of the UK's 100 most influential disabled people on the Shaw Trust's Power List. My life has felt very much on hold since I developed my CSF leak at the beginning of this year, so to be able to be a part of this list, despite spending the majority of 2018 in bed, means so much to me. As well as being incredibly proud of myself, I am also honoured to be named amongst so many disabled people in the UK that I admire greatly. People such as Warwick Davis, Jessica Kellgren-Fozard and Alex Brooker have helped to shape the future for disabled young people, so to be associated with these incredble role models is unthinkable to me. I hope that in the next year I can live up to others on this list. 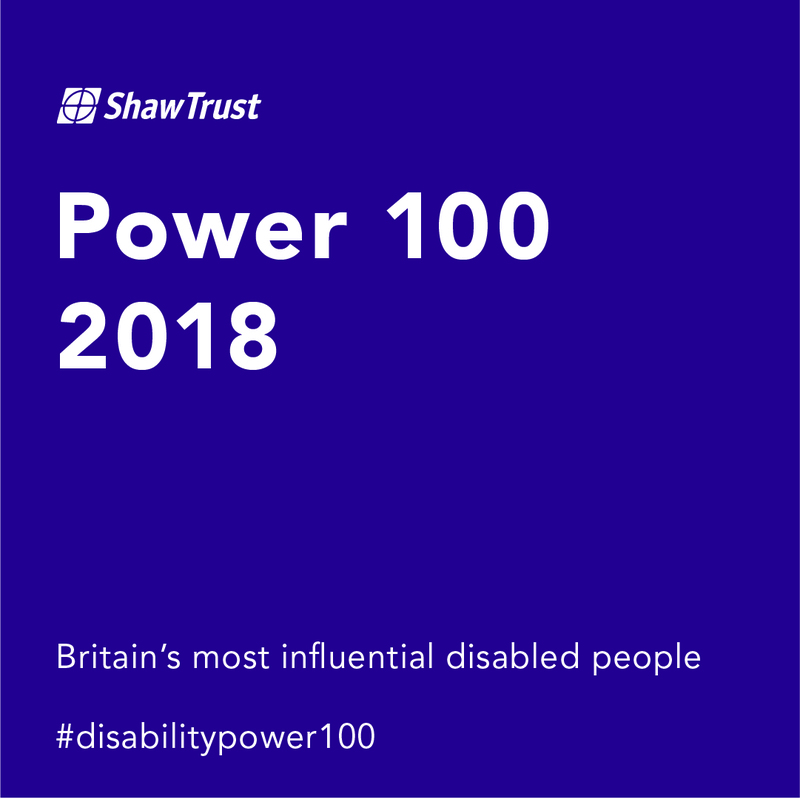 The Disability Power 100 is about inspiring the future generation of disabled people, and I am committed to doing exactly this. Self-love is difficult to come by in even the securest of people. But for those living with disabilities or chronic illness, practising the art of empowering yourself can be an incredibly difficult, if not, seemingly impossible task. In this post I want to write about the intersections of disability and loving yourself, but also ways in which I personally have learned to help practice self-love. When you have a disability, this usually means that something in your body isn’t working quite right. For example, if you are an EDS sufferer like me, your joints can pop out of place and they can hurt like hell. 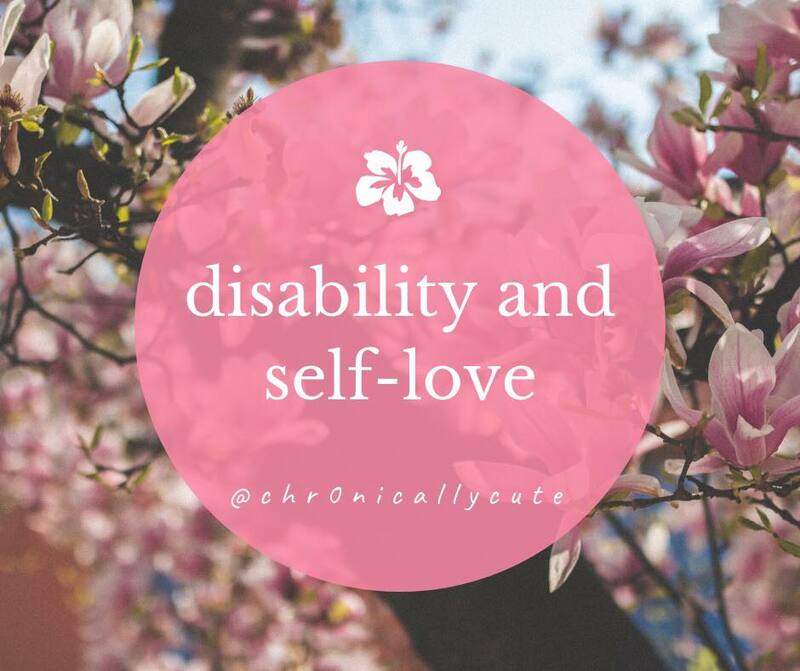 For me, this is one of the main obstacles when attempting to love yourself if you live with a disability. When your body isn’t working right for you, how on earth are you supposed to love it back? 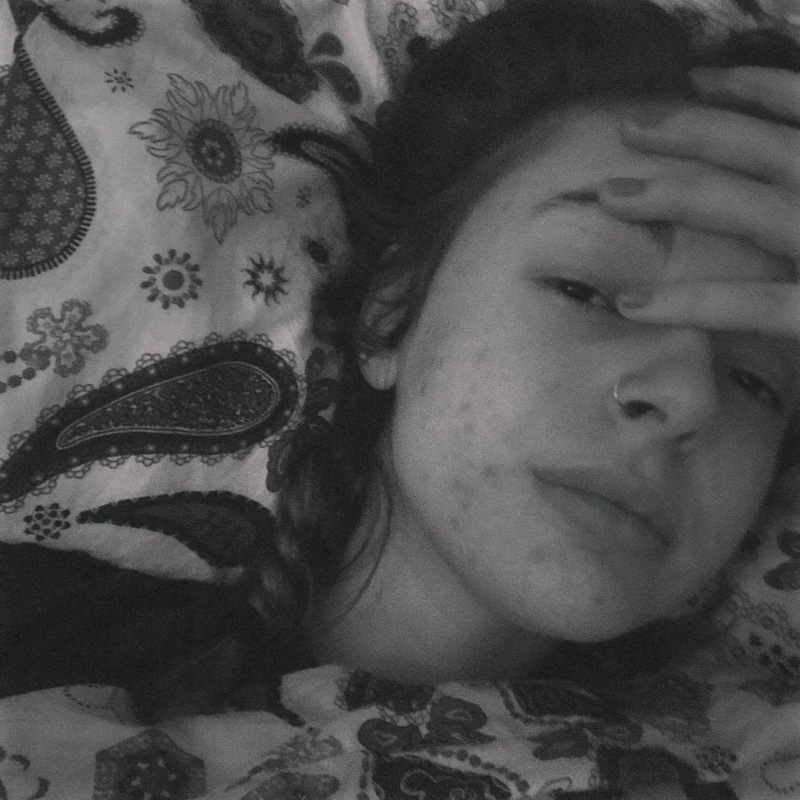 With the amount of pain my body throws my way on a daily basis, it more often than not feels like I am at war with myself, making it near impossible to love it. One of the things I have to remind myself is that even though I am in pain, my body is working twice as hard as most people’s, trying to fight off infections, regulate my blood pressure or keep my joints from popping out. By changing my perspective on what my body gives to me, I found it easier to learn to love myself. Despite the list of things my body can’t do, there is also a long list of things that it can do, and focusing on them has made me begin to feel proud of my body and what it helps me through. As someone who has also suffered with body dysmorphia and body image issues, the journey toward self-love hasn't been a smooth one. And to be honest, I don't believe for one second that it is possible to love your body 100% of the time. But when I was in recovery, I made a choice to 'fake it til I make it' and basically pretended to be super confident in myself. This actually was one of the most crucial turning points in my journey towards loving myself because even though my heart wasn't in it at first, eventually I did start to believe some of the things I was saying! Loving yourself can seem like a cliche or seen as being 'arrogant', but by attempting to make small changes, your quality of life really can improve. Self-love is a constant battle, and every day I have to try and talk myself down from that ledge that verges towards self-deprecation. But by stepping back and looking at what your body does for you on a day-to-day basis, even if it is simply to allow you a nice nap, you can begin to reinforce the love you feel towards yourself. Adapting to life at university is a challenge for every student who attends. 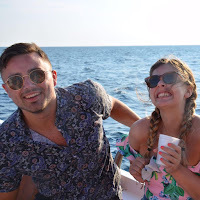 Whether it is the first time you have ever done your own washing or attempting to balance your finances instead of blowing you entire weekly budget on one night out, it can be really tough. Yet life for a disabled student can often contain many challenges that able-bodied students wouldn’t even think of. 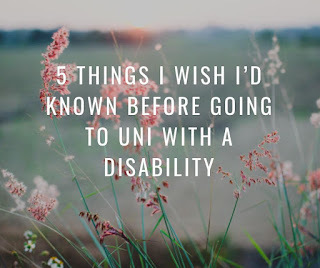 Many of these challenges hadn’t occurred to me until I actually began university, so I am writing this post now for anyone who is about to start/wants to start uni with a disability – here are all the things I wish I had known before I went to Exeter uni! 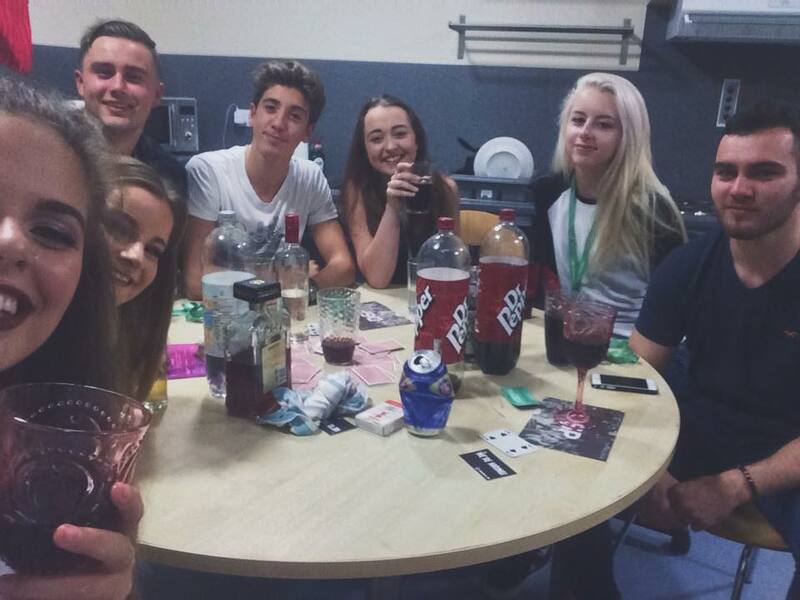 1) Freshers week really isn’t that important! 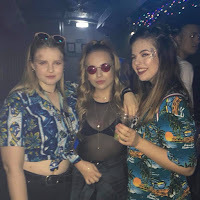 - In the lead up to starting uni, my Facebook timeline was plastered with so many ads for events during Freshers’ week – sports taster sessions, big nights out etc. Before I had even moved in, I felt pressured to ensure I had the most amazing, fun-filled, craziest week ever. What a mistake that was! I ended up pushing my body to go out almost every night of that first week, meaning I spent every day in bed recovering. Now this doesn’t sound too uncommon for a fresher, but add in the excruciating pain in my joints, the fatigue and the dizziness, it wasn’t a fun week. It wasn’t until I actually started my course and went to socials etc. that I began to really have fun. You don’t need to party every night (unless you want to/can!) – you have a whole degree to enjoy yourself. 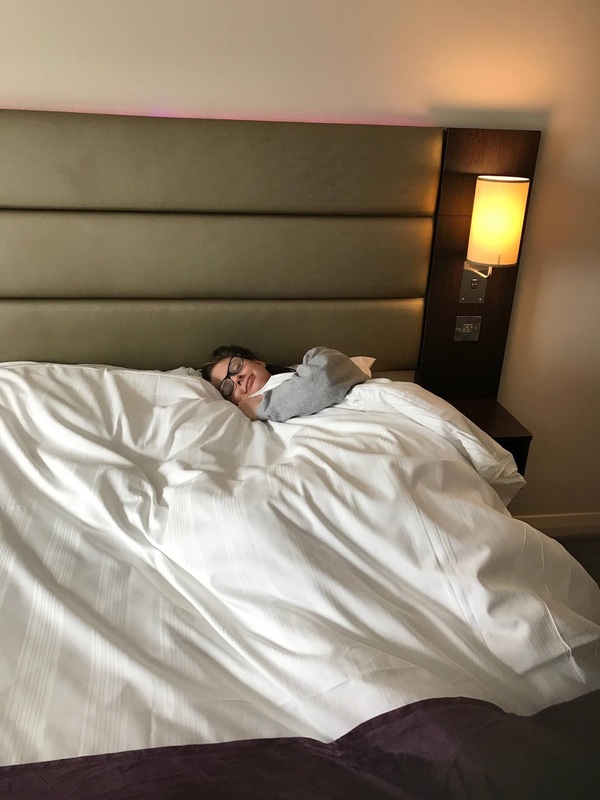 It has been two years since my Freshers’ week, and it has taken that whole amount of time to get my health back to a stable level again – this leads nicely into my next point! - This is so much easier said than done, and something I am still attempting to perfect every single day. In retrospect, if I hadn’t pushed myself so hard in those first few weeks, my health may not have deteriorated so rapidly. The impact on my body when I don’t pace myself is massive. I try to push myself slightly on a bad day and pull myself back on a good day – taking time to rest even if you don’t ‘need’ it is crucial. One of the things that helped me last year was a colour-coded timetable. I assigned each colour to an activity depending on how much energy it took me, and therefore was able to visually assess my week. It helped lots and it looks pretty! - Asking for help can be hard for anyone, but in a flat full of strangers who seem more interested in strawpedo-ing VK’s than helping you out with your washing up can be so intimidating. However, as I found in my first year, usually people are more than willing to help out. Whether you need someone to heat you up some dinner or just bring you a cuppa, just ask! The worst someone can say is no, and then you can always ask someone else! 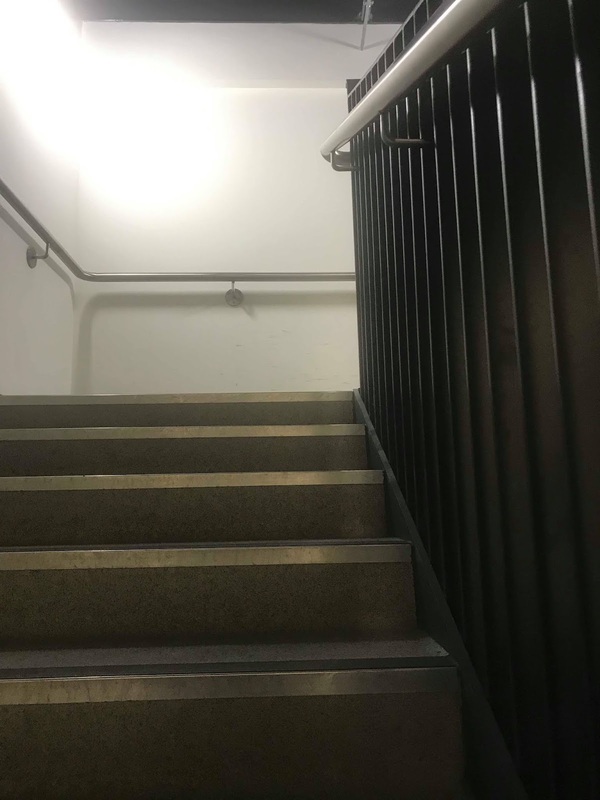 - Following on from the above point, before you attend, contact the uni’s Accessibility department and book an appointment. In the UK you can apply for Disabled Students Allowance, and the uni can help you out with things that might help you with your studies. For example, I was given dictation software to help with my essays when I am fatigued. It is important to have this put in place before you get to university so that you don’t end up getting there and realising you need it, then having to apply late. 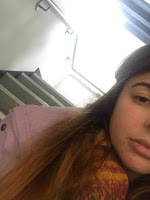 - Nothing beats strolling round a supermarket browsing the shelves, but on those days where my fatigue has taken over, I love to do an online food shop. Usually the delivery can be next day – so even if you leave it really late, you won’t end up going without for too long! It saves so much energy and will make life that bit easier. I really hope these tips can help one person in some way. 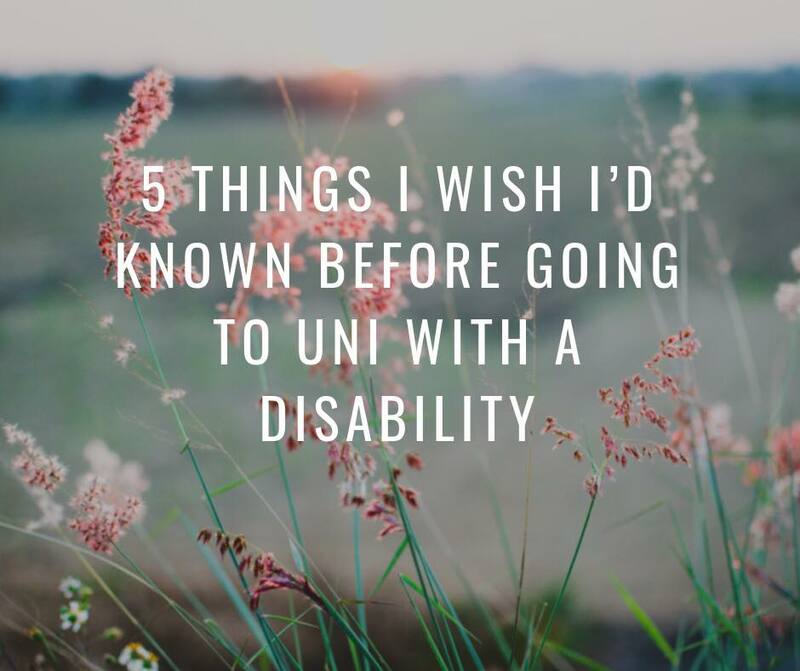 I wish there was some sort of guide book to university life for the disabled student, but alas for now you will have to deal with my rambling. I hope everyone that is starting uni/going back/hoping to go at some point has an amazing time, and don’t forget to pace yourself! 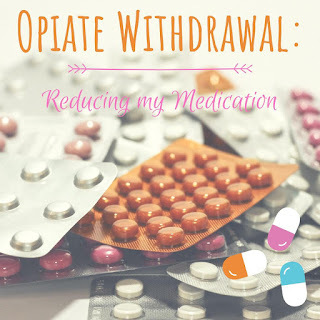 I want to start this blog post by stating very clearly that this is simply my own personal experience with opiates. 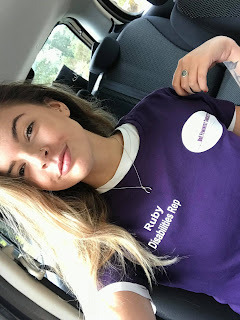 The so called ‘opiate crisis’ has been incredibly damaging for many chronic pain patients globally, and so my experience does not speak for all. Some people need opiates to function. Some people can’t take opiates. All experiences are real and valid. I have been on Oxynorm (oxycodone liquid solution) since 2016. It began as simply a last resort, emergency medication for extreme pain flares. During my first year of uni, my dosages increased as my pain levels did. By March 2017, I was on four doses of Oxynorm a day of either 10ml or 15ml. As you can imagine, this resulted in extreme mood swings, many side effects and awful rebound pain. Since December 2017, I have been gradually reducing my dose with the hopes of only having to use it in emergencies. By February, I was on about 6ml per day, down from 45ml. It was a long haul, and the symptoms of withdrawal meant that the beginning of this year was pretty tough. I was so close to being off it, but in March 2018 I developed a CSF leak (see previous post) which meant I had to increase my dose to around 15ml per day to manage the pain. Despite this, I am feeling incredibly optimistic. Not only will it be ‘good’ for my body to be off this medication on a regular basis, but it means that when I actually need it for a flare, it works! I require a smaller dose, and it actually can manage a pain flare where otherwise may require emergency medical attention. I hope that by talking about this, more people may feel confident in sharing their experiences with opiates, and the narrative involving chronic pain patients having the time of their lives on morphine will dissolve. Taking away pain medication can be incredibly dangerous and detrimental to chronic pain patients. 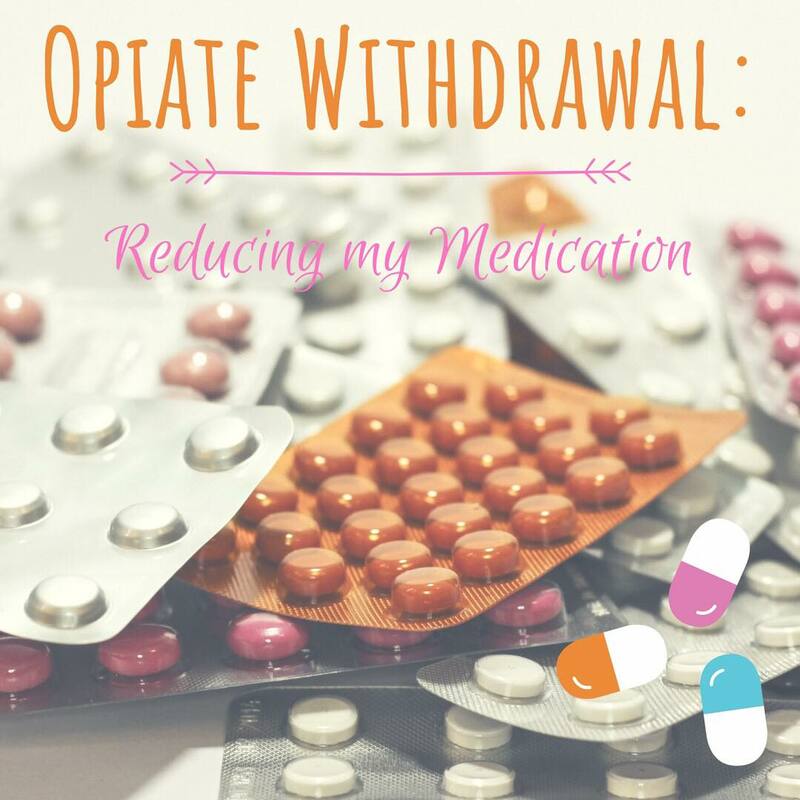 As someone who is reducing incredibly slowly but still experiencing withdrawals, I cant imagine the difficulty in suddenly having your prescription revoked. The ‘opiate crisis’ is only portrayed in one incredibly negative light. Let us start listening to the actual patients taking/not taking these meds, and hopefully make the already challenging lives of chronic pain sufferers slightly easier. It seems a little weird to finally be writing this post, as it often felt like this day was too far out of sight. But here I am, post-procedure, and ready to talk a little bit about what my life has been like for the last six months. In July last year, I developed a severe and crippling pain in my neck and behind my eyes, that would ease upon lying my head flat. As with most things in my life when it comes to health – it wasn’t just going to ‘go away’ by ignoring it, so I ended up in A&E to rule out anything serious. After several CT scans and neuro checks, the neurologist wanted to be sure to rule out meningitis, so he wanted to perform a ‘Spinal Tap’ or ‘Lumbar Puncture’. This basically involved extracting some of my spinal fluid (which is clear btw – who knew?!) to test for any abnormalities. The test came back clear, however, shortly after, my symptoms became a lot worse. The headaches were intensified, I began leaking clear fluid from my nose and ears, and I was incredibly sensitive to noise and light. I ended up being admitted to Torbay Hospital for eight days. 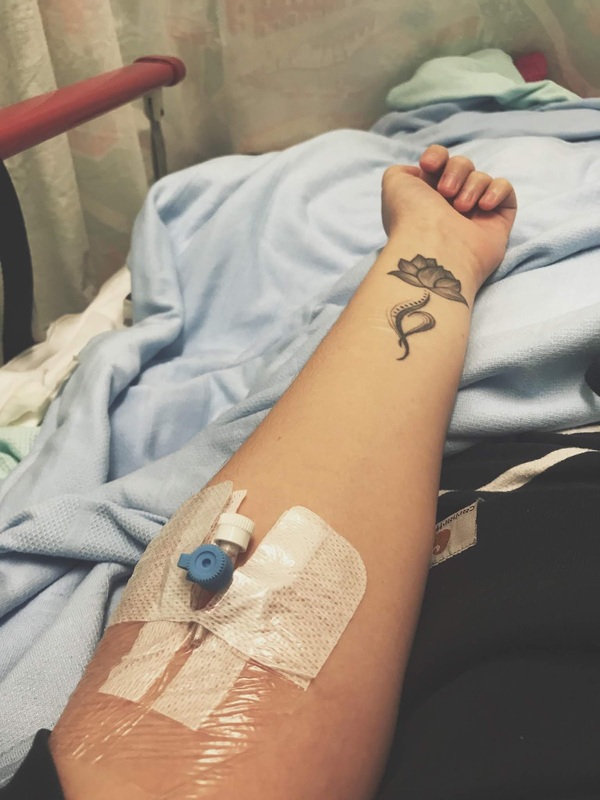 During this time, I spoke with a friend who also has Ehlers Danlos, and had recently been experiencing similar symptoms. He suggested a condition that would change my life from that point onwards, and this is one of the many things I am thankful to him for throughout this wild few months. He mentioned something called a Cerebrospinal Fluid Leak, which basically means a small tear in the dura surrounding my brain and spine. This is something that often happens after a Lumbar Puncture, but can also occur spontaneously in EDS patients (hence the headache BEFORE the LP). Upon mentioning this to my neurologist, the idea was quickly dismissed and I was referred to a migraine specialist, who again dismissed the slight differences between symptoms of a migraine and the symptoms I was experiencing. Fast-forward many frustrating conversations and hours of researching, my symptoms began to ease after about four weeks of being bed bound. I had a normal summer and Term 1 of my second year was going well. In March, my symptoms returned with a vengeance. This time, I was scared. I knew the pain that lay ahead in what I thought would be the next few weeks. I reached out to the same friend I mentioned earlier, and he gave me the name of a neurologist in Stoke-on-Trent who was incredibly knowledgeable in this field, Dr Simon Ellis. This time, I was determined to speak to someone who wasn’t going to dismiss my opinions, I knew my body, and I wanted to see a Dr that I knew I could trust. Luckily I was in a position to have my initial assessment under his private clinic, and I saw him in a little under two weeks. The journey up to Stoke was exhausting. A four-hour train ride in which I was unable to sit upright for more than 15 minutes, meaning I was sprawled across two seats for the whole way. Not comfy. However, after the appointment, I knew it was worth it. Dr Ellis agreed that it sounded as if I had a CSF leak, and would order the scans to be done through his NHS waiting list, with the hope of locating the leak site. Upon doing this, it was recommended that I then have a minor procedure called an Epidural Blood Patch, to effectively seal the leak and eliminate the symptoms. The only problem now – the wait. My procedure didn’t take place until the 5th July 2018. This meant months of excruciating pain and waiting. Every day was an eternity, but somehow I made it through. I was terrified before the operation, not because of the actual procedure, but that for some reason it wouldn’t work. Luckily, this time we were able to organise patient transport, meaning I was driven up to Stoke in an ambulance. I was able to lie flat the whole journey and this meant I didn’t have to do the awful train journey again! I am now 6 weeks post Blood Patch, and by some miracle, my CSF leak appears to have healed perfectly. I managed to go on holiday with my family for two weeks, something I was sure I would have to miss out on. I am able to sit up, go to the toilet, leave my bedroom, all without the burden of the pain in my head. I now have my life back. The last few months have made 2018 the most difficult time in my life. This CSF leak has made me appreciate every single moment I can spend sitting upright, being outside and simply living life. It was an incredibly long haul, and every time I get any sort of headache my anxiety skyrockets as I convince myself it is returning. But so far, so good. My family, friends and my partner have given me the strength to carry on, so I want to just mention how much I appreciate the support network that I have.